Just to let PCTPG conservation group that we have purchased ex PCT 230 JJY 630G from the previous owner in Australia and also intend on restoring to as close to original as possible. Sadly they have not left an email address or contact but I am sure they will see any comments that people leave on this site! What a lovely story! I liked these buses and the bell had a particular ring to it. It was great to still ride on them in the late 80s when a few went to Plympton Coachlines. Well, maybe there is hope that an ex-PCT Leyland National will raise its head?? Yes great story isn't it? Shame its so far away, still I think there is always hope for "no.9" jumbo coming back to Plymouth, we have to trust in the Lord on that one I think!! I'd love there to be an ex-PCT National knocking around, they were the bus that first captured my imagination back in the days!It seems alot of research has been done on them, I hope that one day one would reappear!! Great to hear 230 has been saved and a real surprise that she will be put back to her original livery. This batch of vehicles is poorly represented in PCT preservation sadly. 253 was stolen by scrap metal thieves but hopefully 9 will join our ranks in the none to distant future. 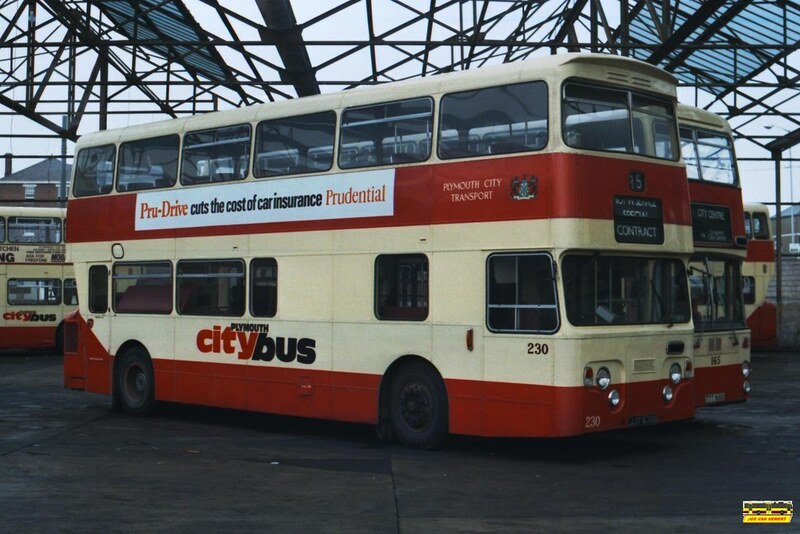 If the new owners care to email me chairman@plymouthcitytransport.co.uk I will be pleased to assist with pictures and paint samples etc through the extensive archives at our disposal. Great to hear you guys have interest in our bus. We would really love any info you can supply and yes we will certainly send you some photos and keep you updated with news on 230. Our email adress is theoverlanders@hotmail.com.au. Will be in contact again soon. Ralph - My brother has a house in Berry NSW and I have asked him to see if he can find the bus and let us see a photo. He's coming back to the UK next week for a family funeral, so fingers crossed, we might see a little more of this old girl.